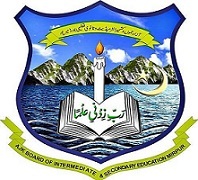 Mirpur, Board of Intermediate and Secondary Education AJK conducted the AJK Board inter class part 2 (composite) annual exams 2018. The candidates can appear in their practical exams for BISE AJK HSSC class and the students will bring their roll no slips for the practical papers to verify their identity. The candidates will get their roll num slips from their exams centers from 13 June to 20 June 2018 and they will check their particulars from BISE AJK FA/FSc roll no slips and if there is any mistake, they need to get it corrected. The students will reach in the exams centers in time to appear in their papers. BISE AJK HSSC date sheet 2018 for practical papers is uploaded online and the students will find them with the complete dates and times of all papers as the AJK Board FA/FSc practical papers will be started from 26 June 2018 and end on 12 July 2018. The practical papers will be managed in morning and evening shifts and the morning papers will be held at 08:30 am and the evening papers will be managed at 01:30 pm.